Allison Barsetti, sophomore softball pitcher, pitched the entire first game of the doubleheader against Lassen Community College on Feb. 2. 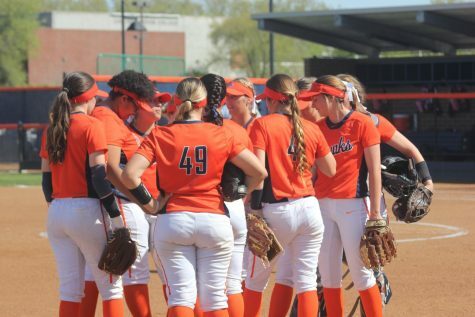 The Hawks’ softball team squared off against the Lassen Community College Cougars twice at the new softball field at Cosumnes River College on Saturday, claiming victory in both games. 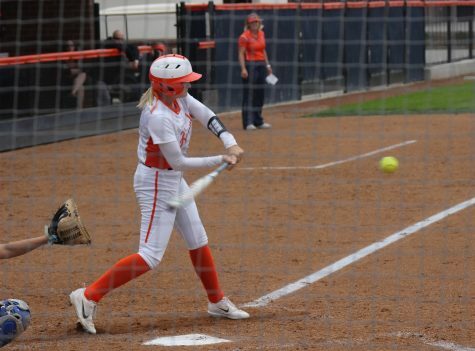 Facing stiff competition in the first game, the Hawks managed to score an early run in the second inning and three more in the third inning, beating the Cougars 4-0. The Hawks were more comfortable in the second game and despite giving an early run to the Cougars, scored five runs in the second inning and four more in the fifth inning, winning 9-1. 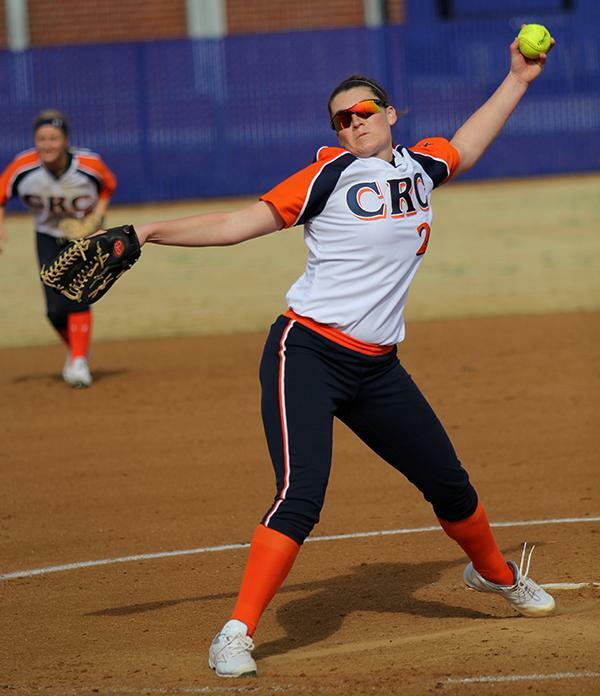 The first game began tensely for CRC and Lassen, with both teams making several base-hits in the early minutes of the game. 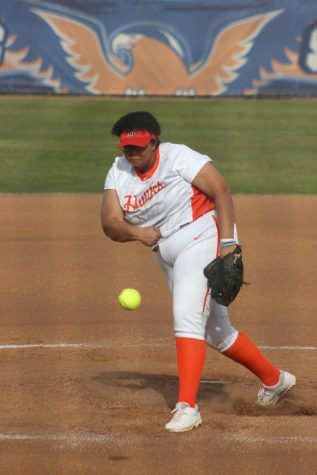 CRC took the lead when a bad pitch from Cougars’ sophomore pitcher Ivette Garcia brought Hawks’ sophomore first baseman Gabby Magaña home, bringing the score to 1-0 in the second inning. The Hawks quickly widened their lead in the next inning. It began when Alissa Greenhaw, Hawks’ sophomore shortstop, scored a run after freshman left fielder Jessica Venturelli was beaned by Garcia. The hawks picked up a third run when Venturelli rounded home plate after a hit by Hawks’ sophomore pitcher Allison Barsetti. 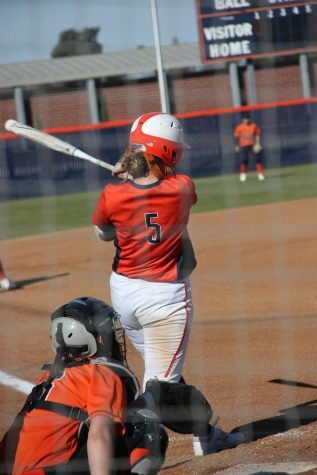 Only a few minutes later, Lauren Zsoboscan, Hawks’ freshman catcher, sent the ball careening into the outfield and drove home Hawk sophomore third baseman Melissa Mosqueda, scoring a fourth run for CRC and leaving the score at 4-0. The Cougars were unable to recover, and the game ended with a 4-0 victory for the Hawks. The next game saw several close-calls, and one run by the Cougars. 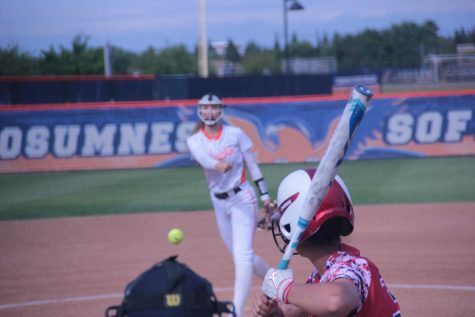 The Cougars managed to load the bases with two outs in the second inning, but before they could capitalize on the situation, Barsetti struck-out Cougars’ second baseman Valerie Talamentez for the third out. The second inning also proved to be a decisive moment for the Hawks’ offense. 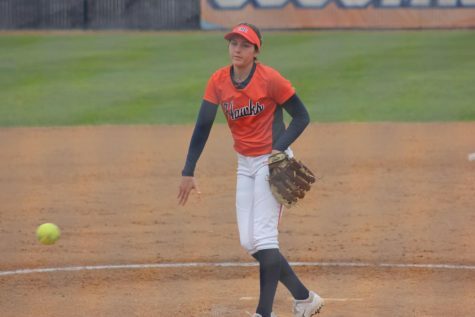 A hit by Magaña loaded up the bases for the Hawks, and a following hit by Janelle Moran-Rowan, Hawks’ freshman center fielder, sent Mosqueda home with a player still on each base after the play. 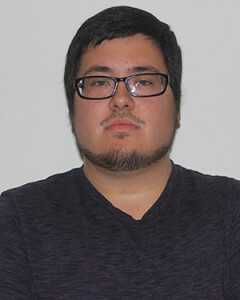 The next few plays passed like clockwork. Hawks sophomore utility player Alysia Ortega drove the ball into the outfield, which brought Zsoboscan and Magaña home. Immediately afterwards, Greenhaw brought home Moran-Rowan and Ortega with another hit to outfield and brought the score to 5-0 in Hawks’ favor. After the second inning, the Hawks had taken decisive control of the diamond. 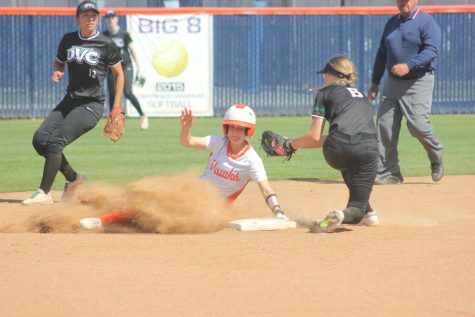 The Cougars were only able to make one run when Cougars’ shortstop Erica Estrada made it home after Garcia was walked by Barsetti in the third inning, bringing the score to 5-1. The fifth inning saw the Hawks widen their lead over the Cougars even further. In less than five minutes, Mosqueda, Zsoboscan, Moran-Rowan, and Greenhaw all scored additional runs for the Hawks. The cougars were unable to recover the deficit in the next inning, and the Hawks won the game 9-1. Mosqueda—who sent three runners home and made two runs— is happy about her team’s performance that day.